The alignment of the three shield volcanoes that make up the Tharsis [THAR-siss] Montes region is clearly evident in this view. 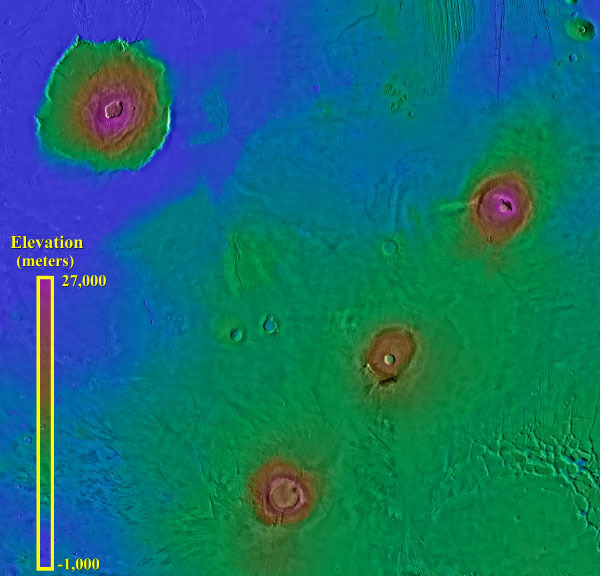 They are named Ascraeus Mons (top right), Pavonis Mons (middle) and Arsia Mons (bottom). Olympus Mons can be seen in the upper left hand corner. The three volcanoes are each somewhat smaller than Olympus Mons, varying from 350 to 450 kilometers (220 to 280 miles) in horizontal extent and each rising about 15 kilometers (9 miles) above the surrounding plains. 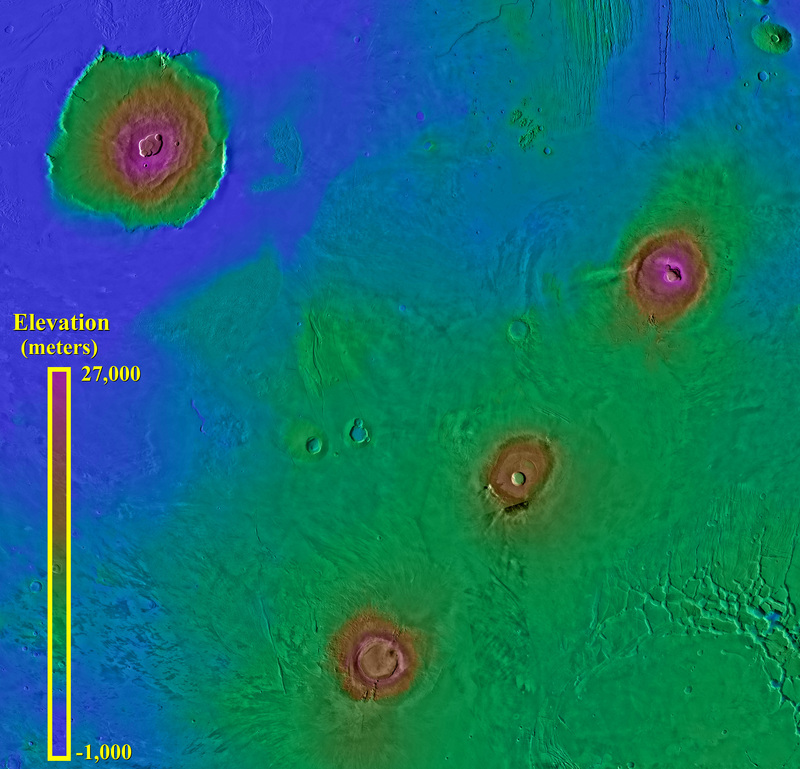 The Tharsis Montes are located on the crest of a broad uplift of the Martian crust so that their summits are at about the same elevation as the summit of Olympus Mons. The fractures southeast of Pavonis Mons are named Noctis Labyrinthus; this region merges with the enormous Vallis Marineris canyon system to the east. This image is Copyright © 1998 by Calvin J. Hamilton. Any commercial/for-profit use of this image needs to be addressed to Calvin J. Hamilton.